Back in 2004, John Deagan was an independent business coach from Canton, Ohio who was looking for an association of business coaches who were sharing best practices, coaching tools, programs, support, and friendships. 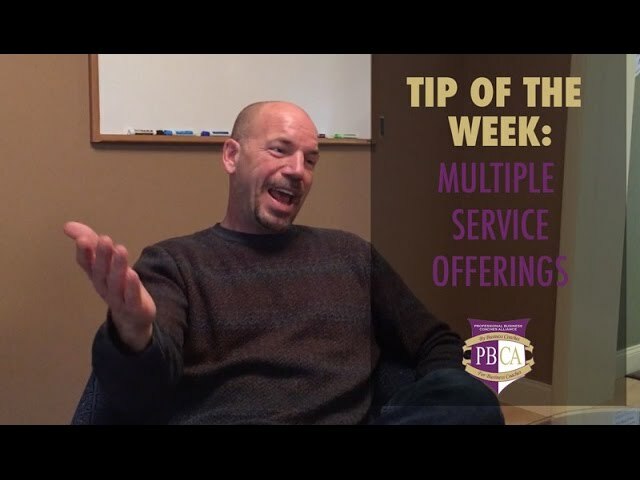 John couldn't find such an organization, so after receiving encouragement from his friends and family, John created the Professional Business Coaches Alliance (PBCA) which began operations in 2005. When John created the PBCA, his vision was to "someday have 30 coaches helping each other." At that time, John was a highly successful business coach, and he hadn't intended for the PBCA to become his full-time job. But early on, the PBCA had some incredible member-coaches who were very active in helping each other, and John's vision changed to "making the PBCA North America's premier alliance of independent business coaches." With the help of a talented team of colleagues, John created the "PBCA Business Coach Certification Program" to help experienced business people become professional business coaches and launch their own business coaching practices. The PBCA has grown to more than 100 professional business coaches from across North America who are sharing a large library of coaching tools including business assessments, client onboarding tools, seminar material, group coaching programs, and tools to use in all areas of business effectiveness. Our Members-Only Forum is a highly-interactive resource where PBCA members help each other by sharing new tools, coaching skills, and strategies. 1Added hundreds of powerful tools and coaching programs into the PBCA library for members to customize, private-label, and use as their own. 2Created the Master Coach Academy of continued learning in all areas of business effectiveness, personal effectiveness, and advanced business coaching skills. 3Established the "John M. Deagan Business Coach Training Center" in Syracuse, New York. 4Launched the "PBCA Advanced Course 2.0" to provide advanced coaching skills training to existing member-coaches. 5Created the PBCA Legacy Coach Orientation Course for business coaches who have earned their certification elsewhere, but who want to become better skilled coaches and PBCA members. Through all of the PBCA's advancement and growth over the years, the culture of "abundant sharing among friends" has remained the bedrock of the PBCA. The PBCA's training courses are world-class, our library of tools is truly awesome and our Jumpstart Program for new coaches is invaluable. But the best part of the PBCA is our member-coaches, who are smart, caring, supportive, and who are all committed to excellence in business coaching. Plus, they're a lot of fun to be with! It is with enormous respect and a lot of love that we thank John Deagan, the PBCA Founder, for creating this awesome thing of ours! As the premier alliance of independent business coaches in North America, the PBCA is committed to continuous professional development for our members. Our current president, Jon Denney, is a "product" of the PBCA. He became a professional business coach through the PBCA certification program, and through several years of experience and continued education, has become a highly regarded and established business coach in his own right. Jon is a published author, national speaker, and lead-trainer in the PBCA Certification Program, PBCA Advanced Course 2.0., and the Legacy Coach Orientation Program. By the end of training week, you'll know him well!